So what is it, why is it popular, and what concerns should you address, before taking on a SaaS contract? Software as a Service, or SaaS, is nothing more than a method of licensing, charging for, and delivering software to users. The most familiar model of acquiring software, for those of us over 30, is a simple one. You buy the software, get it on some storage medium along with a licence, and then install it on your computer to use for as long as you like. When a new version comes out, you can choose whether to buy it (often with a discount) or continue using the software you paid for and own. The medium has changed over the years from cassette to floppy disk (5 inch then 3½) to CD to DVD. But what you bought, you owned. SaaS is more akin to rental in the consumer world. And, if you are familiar with financing at a corporate level, I’d say it’s more like an operating lease than a finance lease. You have fewer of the benefits of ownership, and consequently, fewer of the risks and responsibilities. SaaS is a software distribution model in which a third-party provider hosts the software and makes it available to customers over the Internet. They also take responsibility for maintaining it and supporting service level agreements (SLAs), in exchange for a regular (usually monthly or annual) payment stream. 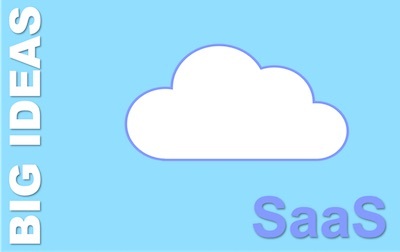 SaaS is also known as ‘hosted software’, ‘cloud computing’, or ‘on-demand software’. The user gets the service, and updates to the software that keep it robust and relevant. They receive service standards that their business can rely upon, in exchange for a predictable flow of expenditure. What Sort of Software does SaaS Work with? Is SaaS Really as New as All That? SaaS really reminds me of old-fashioned computing. In the 1980s, we often used a ‘dumb’ terminal (or a ‘thin client’), connected to a remote computer (or ‘server’) that did the work. In the same way, SaaS makes the task of running software remote from the user. The main thing that allowed SaaS to become mainstream is the speed of the internet and broadband connections. But another is the rise and rise of ‘Big Data’ – the aggregation of huge data sets and the predictive power that comes from it. That’s an awesome Big Idea I have yet to fully wrap my head around! What about PaaS and IaaS? SaaS is the most user-oriented end of a spectrum of cloud-based computing services. PaaS offers a remote platform that businesses can use to develop and deploy software on. This removes the need to invest in and maintain networks, servers and the software environment they need. This helps them focus on the development, without needing a range of skills. They can also scale their software easily, by buying greater server and infrastructure capacity. IaaS offers the core computing resources that a business needs. These include storage, processing, and network services. IaaS can offer a ‘virtual data center’ that removes the need for businesses to invest in skilled resources and physical assets. Why Use SaaS? What are the Benefits? SaaS removes the need for organizations to install and run the software they need. It reduces their need for computing power and the associated infrastructure. And it reduces the need for IT teams to serve it. It reduces many costs to a single service payment that is both predictable and easy to control. They can dial it up or down according to business need. End users often get a better experience too. They can access the software multiple locations, including the use of handheld devices. The scale of the SaaS user-base means usability and functionality advances quickly. And the provider often identifies bugs quickly that they need to resolve fast due to the incentives of the SLAs with their clients. * White labelling is the removal of the provider’s branding and the ability for the client to add their own branding. I’m no IT expert. And you need one. You’ll also need to think in business terms. So, moving on quickly, what are some of the business oriented questions you’ll need your IT expert and potential SaaS provider to answer? What are the Concerns with SaaS? Will you exclusively own the data you store on your provider’s systems? Or will they own it? Or will you each have some ownership rights? How safely will they secure your data? And how do their procedures match up to your legislative obligations and internal policies? Yes, I’m thinking GDPR here! This is about security against both unauthorised access and calamitous loss. Where will they store your data? I’m not just thinking about how secure the storage location is (or locations are). What is the security and desirability of the political regime in which the hosted data sits physically? What if the provider goes out of business? Or if they decide they won’t maintain the software your business depends upon? Will you lose access to the software, and what about your data? A unilateral update in the software by the provider can trigger a need for substantial re-training among users. This can incur significant costs for the client. 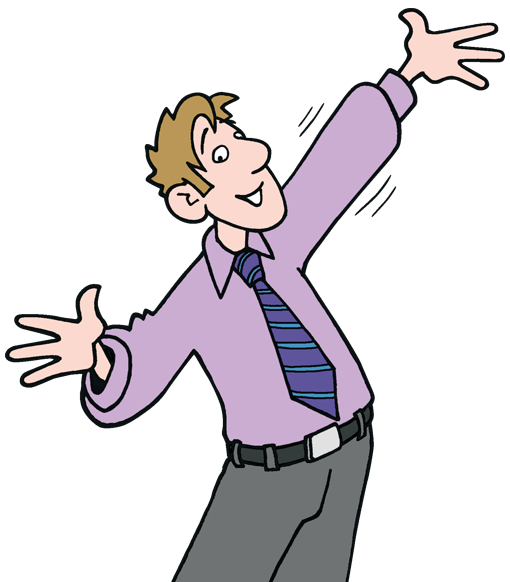 Your IT expert should also articulate and investigate a series of questions, like response times, customizability, internet access. What is Your experience of SaaS?